There is nothing like them on the market. For the first time ever, you can have a finished hedge in just one day. Using patented technology and state-of-the-art precision agriculture implements, we produce finished hedges on our farm in Oregon that we can ship directly to a landscape in a biodegradable box for easy installation. Find more information please read our blog post about InstantHedge vs. Conventional Hedges. Can InstantHedge withstand the test of time? InstantHedge will last for many years if the plants are maintained. With proper maintenance your hedge can last for decades and beyond. European Beech – our most popular variety- has thrived as a hedge in the United Kingdom and Netherlands in the same footprint for more than 200 years. 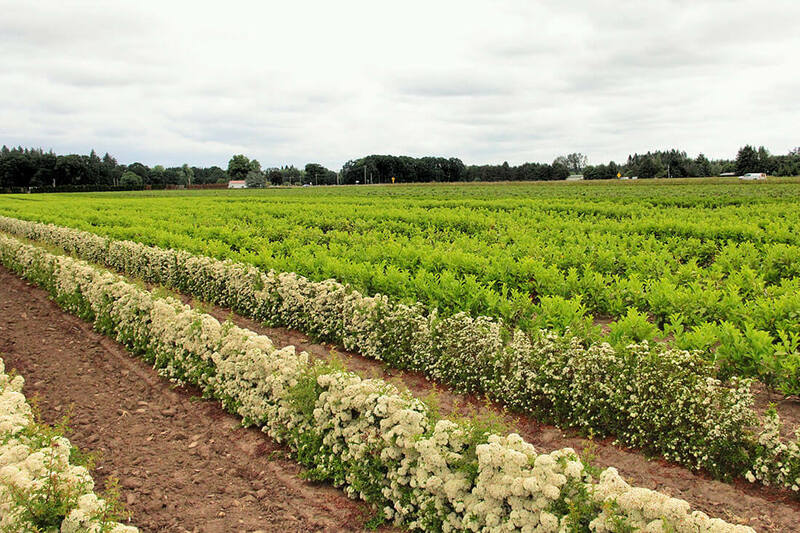 Our hedges are grown on 80+ acres in Canby, Oregon, located within the fertile and world-renowned Willamette Valley. Our experienced horticultural staff tends to the 50+ miles of hedges with exceptional care and attention to detail. We hear this question a lot. We are dedicated to growing disease-free hedges and have taken active steps to achieve this. We are voluntary participants in the Oregon Boxwood Blight Cleanliness Program, which involves special disease prevention practices and yearly audits and inspections. 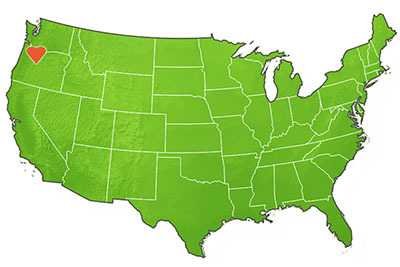 This clears us to ship boxwoods to any state, including PA and TN. We grow only Green Mountain boxwood, which has shown itself to be one of the most naturally blight-resistant cultivars on the market. We are also in the process of growing boxwood substitutes that have all the beloved qualities of boxwood without the increasing disease issues. Note: Boxwood blight can often be controlled with cultural practices in landscape settings as well. If you ever suspect you have boxwood blight, contact your local extension office for advice. Disease will stop or slow down spreading if you keep the area clean, thin the foliage and apply a fungicide. We are doing our part to make sure we never send you an infected plant, but if you find it on existing boxwoods in your landscape, there is hope! We guarantee that our hedges will arrive at the delivery site in perfect condition. Live plants are difficult to guarantee over a long period of time, since they are out of our care and control once they leave our nursery. If a problem arises with the hedges, we ask that you let us know as soon as you notice it, providing photos and details about the problem. Written communication is preferred via email (or fax) within 7 days of order receipt. We will work with you to find a solution tailored to your situation that works for everyone. We are passionate about customer service, and we want every InstantHedge experience to be 100% positive. Please contact us immediately with any issues by calling 503.587.0102 or emailing [email protected]. Contact our customer service team by phone at 503-587-0102 or by email to [email protected] for a fast response. You can also fill out our contact form. What are some ways InstantHedge can be used? InstantHedges can be utilized in any landscape setting, from commercial courtyards to residential screening to municipal plantings. Using InstantHedge in a landscape adds privacy, style, and visual impact, or it can simply be an effective way to ‘green’ your outdoor space. See more inspiration on our Landscapes page. Can I use InstantHedge in place of a fence? Certainly! With InstantHedge, you can instantly transform a landscape by adding a green privacy border to your property. Hedges have many benefits over using fences, including noise blocking, aesthetic appeal, use on uneven properties, providing wildlife habitats, stabilizing soil, limitless height, and more. Check out our guide comparing Hedges to Fences here. Can I install and use InstantHedge in containers and small properties? InstantHedges can be placed in planters for privacy and design on patios, balconies, and courtyards. We recommend using planter boxes with minimum dimensions 45”Long x 20”Wide x 24”Deep for the 3-4’ and 5-6’ hedges to ensure the longest life. Containers for the boxwood hedges can be minimum 40”Long x 14”Wide x 12”Deep. Take a look at our container garden landscape page. How do I use InstantHedge in my landscape plans? Creating a landscape plan with InstantHedge is easier than planning for a conventional hedge by far. Instead of having to figure out spacing and doing numerous calculations to determine how many plants are needed, never mind locating the plants themselves from local suppliers, planning with InstantHedge means drawing up a clean, simple plan and letting us know how many feet you need. How do I know how many units I will need? Still not sure?Contact us and we will guide you through it! How far in advance can I reserve hedges for my project? We know landscape jobs take time to plan, so we will accept orders 2 years in advance. For sizeable orders placed 1-2 years before requested shipping, a 25% deposit may be required but will be evaluated on a case-by-case basis. Freight estimates given in advance should not be relied upon, as the trucking market changes significantly from year to year. What types of hedges will grow in my area? Refer to the chart below for a summary of hardiness. Additional plant varieties are available – please view the plant pages for more detailed information. Not sure what these zones mean? 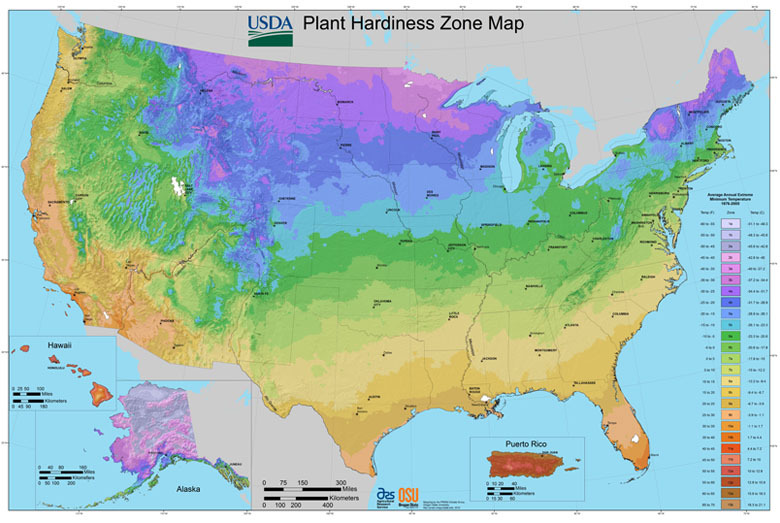 The USDA has categorized each area in the US by a “hardiness zone”, which is based on the lowest temperatures in each area. Plants hardy to that area will survive the coldest temperatures experienced in that area. For example, if you plant an Acer ginnala ‘Flame’ (hardy to zone 3) in northern Wisconsin where it is zone 3, the maples will be fine even when temperatures hit -35ºF. If, however, you plant a Portuguese laurel (hardy to zone 6b), the first temperatures below -5ºF will kill it immediately. Please use the contact form to request pricing. Make sure to let us know your delivery area and which hedge varieties you are interested in. How does the initial cost of InstantHedge compare to conventional methods? InstantHedge is a pre-finished, top-quality product, and the initial cost is a bit higher than planting a conventional hedge. 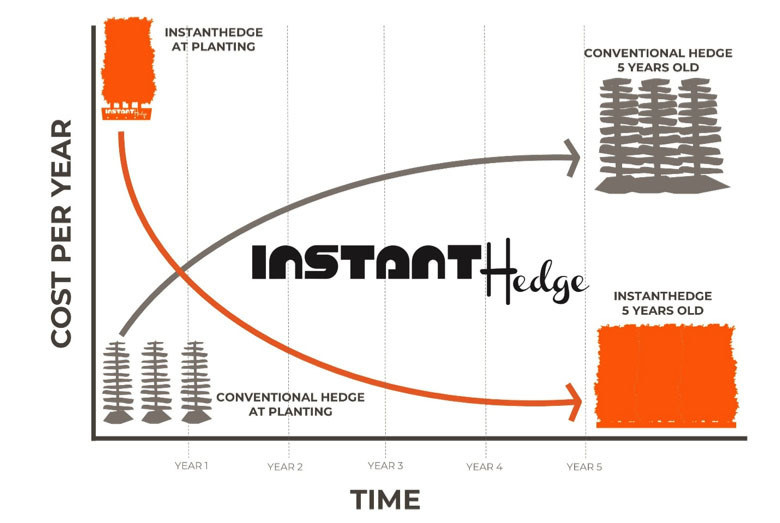 Compared to conventional planting, the total cost of InstantHedge is typically significantly lower due to the savings in labor to plant, maintenance, and care for plants before they become finished hedges. All InstantHedges have been root pruned a minimum of 3 times prior to harvest. Our root pruning ensures that we deliver a hedge with an incredible root system resilient to transplant shock. The costs associated with replacing plants in traditional plantings is massive – InstantHedge transplant success is around 99.8% – fewer replacements means lower costs. Never mind the fact that choosing a variety and hunting down individual plants to begin with is often time-consuming and frustrating. We offer a great selection of hedges, and our customer service team is here to help you find the perfect hedge for your design. How much does it cost to establish an InstantHedge after planting? The first several years of a conventional hedge’s life are filled with careful, calculated pruning that must be done by a professional or a very knowledgeable home gardener to develop a good hedge. Individual plants frequently succumb to transplant shock and other stresses, requiring replacements that can be difficult or impossible to find. This process quickly becomes expensive in terms of both time and money, and failure to complete the necessary maintenance during this crucial time can ruin the hedge forever. By planting an InstantHedge, you are skipping all that and going straight to a finished hedge that requires only light maintenance pruning. You get a better product to begin with, and that product saves you more time and money in the long run. All orders ship from Canby, Oregon. Below you will find a shipping guide. Small orders have a higher per-unit shipping cost than full truckloads. The prices below are estimates. We always try to get the lowest shipping cost for our customers without sacrificing quality. Within 2 weeks of shipping we will begin to obtain shipping quotes. Please contact us with additional shipping questions. The estimated $6000 cost shown in the chart is for a full truck with one pickup (our farm) and one drop (you) on the east coast. This is usually the best freight rate possible for the per unit cost. Example: If you were receiving 90 units (30 pallets/1 full truck) of 6’ English Laurel to a wholesale yard that had a loading dock and forklift to unload the truck, you would get the best possible per-unit freight price. To the east coast, the per-unit cost for this example would be about $50. If you are ordering a less-than-truckload (LTL) amount, the total freight would be less, but it would end up costing more per unit. Example: If you were ordering 18 units (6 pallets) of hedges, and you needed them delivered to a residential location with a lift-gate required for unloading, there would be additional charges for both of those reasons (residential + lift-gate required) in addition to the already higher per-unit freight cost. To a Boston suburb, for this example, the per-unit cost would be about $130. There are also many cases that fall between these two extremes, where the shipping would run more around $80 per unit to the east coast. To get an exact quote for your location and order size, please contact us! We do everything we can to get the best freight rates for our customers, without sacrificing quality, but you are always welcome to arrange your own shipping instead. Orders ship via truck on pallets. 3 large InstantHedge units fit on a pallet, and 30 pallets (90 hedge units) fit on a truck. 24 boxwood InstantHedge units fit on one pallet rack, and 26 racks (624 boxwood units) fit on a truck. Orders will ship in vented semis during moderate weather or refrigerated semis during warm periods. Small orders can ship via common carrier during mild weather. We can ship our hedges year-round. Our patented growing process makes it possible for us to harvest hedges at any time of year, and our container-grown hedges require only to be pulled from the yard and placed on a shipping rack. Our climate is quite mild, which means plants usually either enter dormancy later or leave dormancy earlier than colder parts of the country. If you are planting the hedges in Zone 6 or lower and are hoping to ship in the fall or spring, we will work with you to make sure your plants arrive at a great time. What is the lead-time for shipping? Most orders can ship within 2 weeks. However, we prefer to receive orders with at least a 30-day lead time. We are presently reserving plant material for projects through 2022. How do I plant InstantHedge? 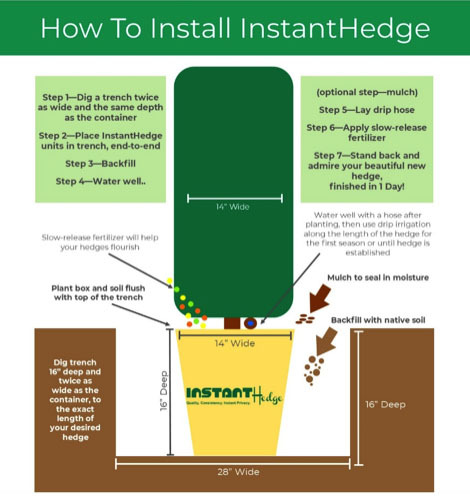 Installing InstantHedge is almost unbelievably simple. All that is needed is a trench, where the hedges are placed end-to-end (still in their cardboard boxes!) before the native soil is backfilled. Water and mulch, if desired, then stand back and admire the new hedge, finished in 1 day! Find more detailed information in our planting guide. Can I really plant the box? Our cardboard boxes are specially designed to fully degrade within 45 days after planting, allowing the hedge’s roots to grow through them. This minimizes packaging waste and provides a stable environment for the hedge through shipping and installation. If you select to have your hedges shipped in our fabric bags, you will need to remove the bag before planting. The easiest way to do this is to just cut the bag away. The boxwood containers also cannot be planted and should be recycled. 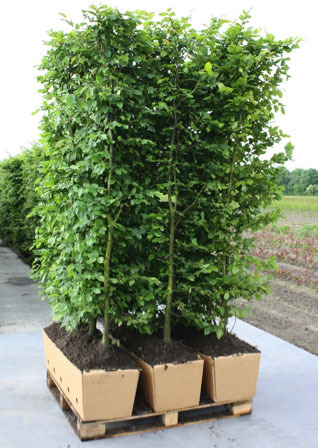 Our hedges are tailor-made to be geometrically sound and squared-off at the end of each unit. Our pruning method ensures that the entire length of the hedge is uniform. When planting, the customer can choose which hedge unit is placed where; simply select the hedge with the nicest end. For example, if planting a 30-foot hedge row, 9 hedge units are used. Choose whichever unit is the most uniform and aesthetically pleasing of the 9 units to show at the end. All of our hedges will be lush, with lots of end growth. In the first year after planting, little to no pruning is necessary. The most important thing is to irrigate your hedges so they can become established. Subsequent years can require 1-2 trims, depending on which hedge variety was planted and the desired size to maintain. For example, a vigorous-growing hedge like English Laurel will need to be pruned once in the spring and once in the fall to keep it as a 10-foot hedge for years to come, while an Emerald Green Arborvitae may only need a light tip here and there to keep it uniform. More details about pruning can be found in our pruning guide. Should I fertilize my hedges? While it is not required, giving your hedge proper care, including annual fertilizing, will dramatically increase its health and beauty. We recommend a slow-release fertilizer that is formulated specifically for the plant type. For more details about fertilizing, check out our fertilizer guide.